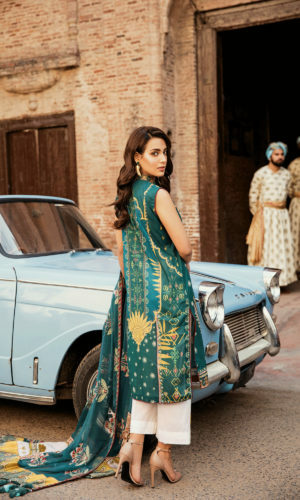 This Monday SiddySays brings you another Giveaway and to win this beautiful lawn suit from Anaya by Kiran Chaudhry ‘s lawn 17 collection. Win this by telling us 3 different ways to style this outfit! The most interesting idea will be selected and announced on 24th April 2017 on the Grace Replica Facebook page. The winner will be picked through a random lucky draw and the decision of the blog will be final!